The liver is one of the most important organs in our body. Everything we eat must be processed by the liver before it can be distributed throughout the body. The liver has wide range of functions and it plays a vital role in numerous physiological processes, including metabolic function and blood detoxification. As a result, the health of our body depends on the liver functioning at its peak. Although the liver can replace damaged cells, when too many cells are lost, the liver may not be able to function properly. There are several common bad habits that are part of our everyday routine which may increase the risk of liver damage and liver pain. We may not even realize it, as the damage can be gradual and initially without obvious symptoms. But over time these bad habits can severely harm your liver. This is very dangerous, as your body cannot function well without a liver working properly. Excessive alcohol consumption is the most common cause of liver damage. Excess amount of alcohol decreases the liver’s ability of removing toxins from the body. Excess amount of alcohol may also result is an increase in red blood cell volume which impacts your general health. This puts too much stress on the liver which focuses mainly on converting alcohol to a less toxic form rather than doing its other functions, and this extra stress may cause fatty liver disease and inflammation. When the liver tries to break down the alcohol, the resulting chemical reaction can damage the liver cells, and after a long time of consuming excess amount of alcohol, the damage can become permanent and cause cirrhosis (scarring of the liver) which leads to loss of liver function. A study in the journal Gut found that this risk increases with increasing daily intake, and that drinking alcohol outside mealtimes and drinking multiple different alcoholic beverages both increase the risk of developing alcohol induced liver damage. I’ve already mentioned that excessive alcohol consumption is one of the causes of liver cancer – frequent alcohol abuse can degrade the liver over time and kill off cells. When the liver attempts to repair this damage, it could lead to DNA mutations that kick-start cancers. As our liver breaks down various substances we consume – including medications, herbs and supplements – consuming too much of certain medications can gradually harm the liver. The damage can range from mild to a complete liver failure. This is true not just for conventional medicines, but also when we consume natural supplements and herbs, as they, too, can be harmful to the liver in excess amounts. One of the best known medication that can cause liver damage is acetaminophen (also known as Tylenol) which is commonly available without prescription and can be found in many cold and flu remedies as well as prescription pain medications. This substance is considered to be safe, but taken in a high doses continuously over several days can cause liver damage. Certain herbal remedies and natural supplements too can be harmful to the liver in excess amounts. For example, a well known cause of liver toxicity is overdose of vitamin A. This is why it’s so important to check the label of any medicine or supplement to see if there is any warning of possible liver damage. Smoking is one of the habits you must stop right now if you want to be healthy. Cigarette smoke affects the liver indirectly. The toxic chemicals found in cigarette smoke eventually reach the liver and cause oxidative stress, and that produces free radicals that damage liver cells. This oxidative stress also causes fibrosis, a process in which the liver develops excess tissue, similar to scar tissue, during its attempt to repair itself, and this can greatly affect the liver function. Also these toxic chemicals reduce the liver function over time so it becomes less effective in doing its main role – removing toxins from the body. If you are a smoker, have a look at my previous article about 5 natural ways to quit smoking (scientifically proven). Sleep deprivation has some surprising effects which you can find in my previous article about 23 dangers of sleep deprivation. A study published in the Journal of Anatomy found that sleep deprivation can cause oxidative stress to the liver. Another study from the University of Pennsylvania School of Medicine reveals why shift workers and people who suffer from sleep deprivation suffer from a large range of health problems, such as obesity, diabetes, heart disease and more. It was found that their livers don’t process fat efficiently and instead allowing fat to accumulate. Also when we sleep, our body goes into a repair mode. So, make sure you get a good 8 hours of sleep, as lack of sleep damage your liver. If you struggle to fall asleep, you can greatly improve your sleep using these foods. Obesity is linked to poor eating habits and can harm your liver over time, just as drinking too much alcohol does. The reason is that too much of the wrong foods cause excess fat build-up in the liver, known as NAFLD (non-alcoholic fatty liver disease). The liver normally helps to process and regulate the amount of sugar and fat in the blood, but in obese people the liver becomes overwhelmed and starts storing excess fat in its own liver cells as it fails to break them down. Over time, if too much fat is accumulated in the liver, the liver can become inflamed and liver cells can be damaged. Consuming high amount of processed foods, which are often loaded with preservatives, additives, artificial sweeteners and flavorings expose the liver to damage because they are very hard to break down as they are full of chemicals. Read my article about the top 10 worst ingredients in food, and you’ll realize that some of the common ingredients found in processed foods can be harmful for your health. Processed foods are also high in salt, which is not only known to increase blood pressure, but can also cause fatty liver disease by building up fluid in the liver (water retention) and swelling. Not eating enough fruits, leafy greens and other vegetables which are all great sources of antioxidants, will not give the body enough beta-carotene, vitamin C and E, zinc and selenium which all help keep the liver healthy. Vitamin B12, mainly available in meat, is used by the liver to help with the flow of bile, so make sure you don’t have vitamin b12 deficiency. Other B vitamins aid in liver detoxification, and can be found in nuts, egg yolks, poultry, fish, legumes and brown rice. Other important nutrients that help the liver include lecithin and sulphur. Lecithin helps the liver get rid of excess fat. Good sources of lecithin include egg yolks, legumes, wheatgerm and fish. Sulphur, which helps to detoxify the liver, is found in fish and lean meat, eggs, cauliflower, broccoli, cabbage, turnips, onions, leeks, garlic and dried legumes. 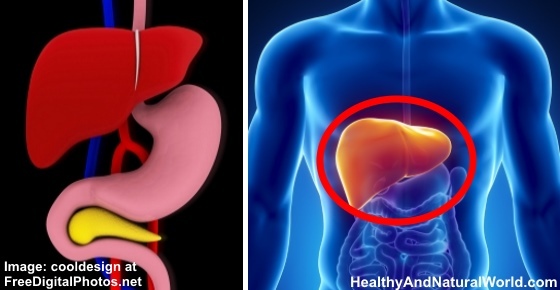 For more information read my articles about the best scientifically proven foods to cleanse your liver. To learn more about the detox concept, you can find more useful information in my e-book The Detox Guide. This guide will teach you how to use detox to cleanse and energize your body naturally. I have a bad liver that shut down last July due to drinking and a lot of meds..been doing a shot of Apple cider vinegar every day. .read it helps. .stopped drinking. Occasionally I slip up maybe once or twice a month. .do you think Apple cider vinegar is as helpful as I’ve read? Hi Chris, there are a lot of things you can do for liver cleansing and ACV is just one of them. ACV is known for its detoxifying effect (read more in my article How to Make Apple Cider Vinegar Detox Drinks), but ACV alone will probably not do the job if you don’t follow general healthy habits. You can refer for more information in my articles about liver damage and how to strengthen your liver and foods to cleanse your liver. It is a good idea to incorporate 1-2 tablespoons of ACV diluted in a cup of water (don’t consume it undiluted) several times a week as it has many health benefits. Read about ACV benefits in my article “10 Surprising Benefits of Drinking Apple Cider Vinegar (Science Based)“.